​Book your parties and events with Chaparral Ranch and enjoy fun for all ages. Petting Zoo parties and events are offered both on-site and off-site. Enjoy the fun of getting to know our farm animals in a safe friendly environment. Book your party today! 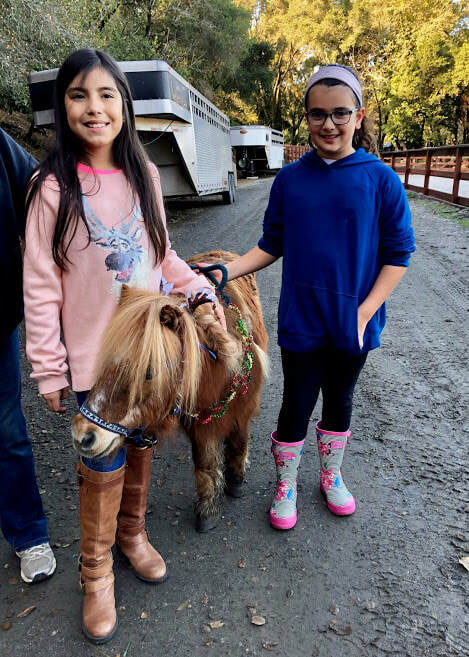 Birthday parties with Chaparral Ranch offer a chance to celebrate your day with our friendly horses in an open ranch environment. Give us a call and book your birthday party today. Created for pre-school children to help teach them the wonders of farm animals while also teaching them the importance of sharing and kindness. Email/Call us today to book your next event!